ALL of General Admission Options 3 Hour Premium Open Bar, 5 Course Dining Experience and MORE! ALL of General Admission Options 4 Hour Premium Open Bar, Full Buffet and MORE! 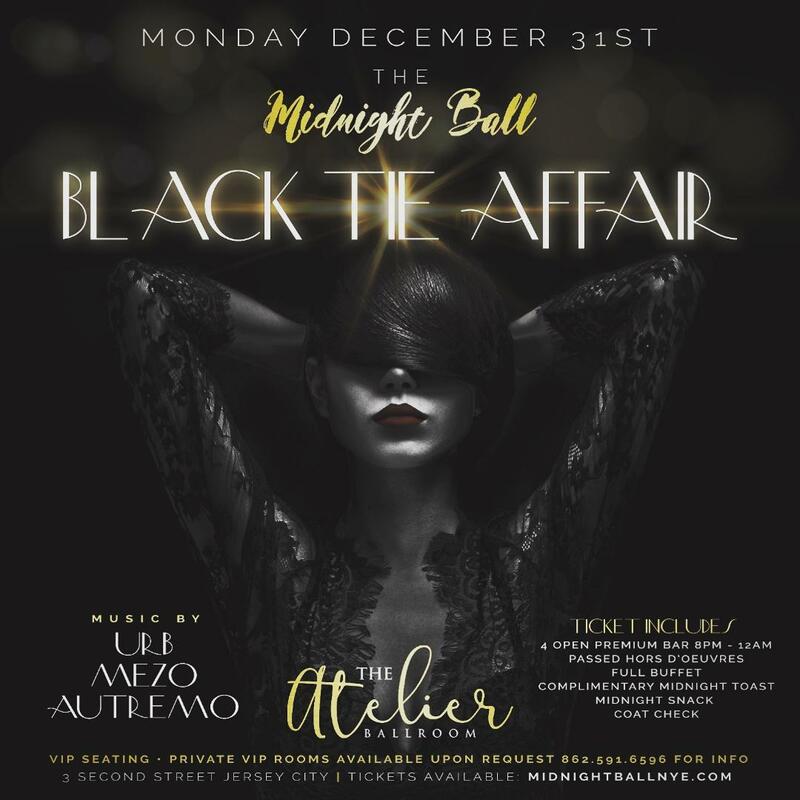 The Atelier Ballroom offers the best and most dynamic mix in dining and nightlife available in New Jersey. Dj Carlos Melange, G-Kidd and DJ Ammo will be providing the entertainment that will get us amped for 2018!